With this product you can accumulate up to 123 Glitter Points. Skin feels toned and revitalized. 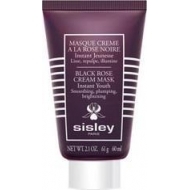 Huile Precieuse à la Rose Noire is a Sisley an anti-aging nourishing oil specially developed for dry or mature skin. This oil formula is enriched with the protective properties of omega 3 to nourish, soothe and strengthen the the barrier function. 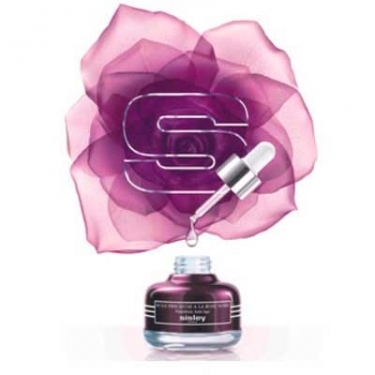 Rose Black Baccara extract bring the utmost smoothness and Bulgarian Rose and Magnolia offer toning and soothing properties. This satiny texture offers nourishing and regenerating properties to skin, guards and provide the skin with essential elements for its vitality and its youth. It smooths and softens the face, reducing the appearance of lines and wrinkles and promoting a smoother and youthful appearance. Apply A.M or P.M 3 to 7 drops on bare skin, face and neck, avoiding the eye area. May be used alone or before your daily skin care to better prepare the skin to receive its benefits.